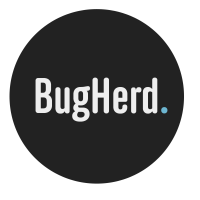 BugHerd's Slack integration will send a variety of bug updates usually emailed to team members directly to a Slack channel, making it easier for everyone on your Slack team to keep up to date with submitted bug tasks. Note: to setup an integration on your account, you must have the manager permission. Click the Settings menu, then choose Integrations. From here, on the Integrations page, find the Slack section and click "add integration". You'll now see a list of the projects you're currently a Member of. Find the one you want to add, and click "Add to Slack"